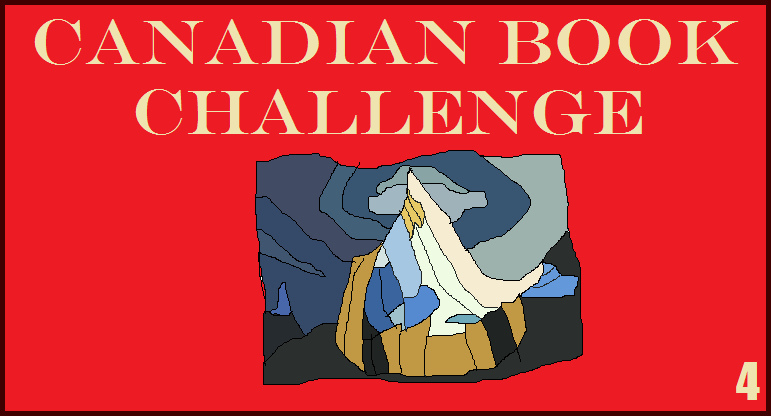 This is my third book for the Canadian Book Challenge #4 and puts me at Ishpatina Ridge on the list of 13 mountains to climb (thankfully I’m only climbing virtually). One Labour Day weekend Camilla McPhee, lawyer and victim’s rights activist in Ottawa, receives bizarre news. A woman she barely knew, Laura Brown, has died and named Camilla as her next of kin and sole heir. Camilla sets about trying to find a real family or next of kin but soon realises Laura didn’t have a single family member, friend or colleague. Added to that is Camilla’s growing worry that Laura did not die in an accident as the police presume. Investigating becomes more difficult for Camilla when police start to believe she is responsible for Laura’s death. I generally do more research into the books I’m going to read than I did in this case but I am in need of Canadian books and this one was available at the library so I figured I’d give it a go. Happily it proved to be just what I was looking for today: a well-written, funny romp of a tale. As the central character of the book Camilla is quite delightful: interesting enough to want to read more about but not so over-the-top quirky that you want to scream. I’ve read a load of books in this genre which do not get that balance right so I appreciate it all the more when it is done well. Her personal circumstances are largely believable and her vaguely self-deprecating, slightly cynical narration of events spiraling out of control achieved just the right note. As is the way of things in cosy mysteries Camilla had a posse of fun friends and relations, my favourite of whom was an octogenarian ballooning enthusiast neighbour who kept up a nice line in stiff upper lip support. I want to be exactly like that when I’m 80-odd. I also found I could empathise with Camilla taking perverse pleasure in doing exactly the opposite of what her perfect, control-freak siblings told her to do. Naturally enough the story is a little far-fetched but it doesn’t stretch credibility too far and it maintains its own internal logic very well. The way in which Camilla collects information about her acquaintance is believable and the second part of the book, in which Camilla is on the run from authorities, has more credibility than a lot of thrillers I’ve read. There are a satisfying number of red herrings and false leads which makes the book a very decent whodunnit for those who like to puzzle-solve as they read. I had a smile on my face for most of the time while reading The Devil’s in the Details and laughed out loud more than once. This is not as common an occurrence as I’d like it to be so the book gets extra points for incorporating pithy humour instead of ‘cheesyness’. I’m not sure there’s anything about it that’s particularly Canadian (multiple references to Tim Hortons aside) but being light, fast and funny puts it in the above average category for me. This entry was posted in book review, Canada, Canadian Book Challenge #4, 2010-11, Mary Jane Maffini. Bookmark the permalink. So glad you liked this book. I will put this book on my TBR list as any book that will cause smiles and, even laughing out loud gets my vote. And, to write a book like this without being “cheesy” is an art. As you know Only Charles Dickens got quirky right. He could! BTW, I thought the title depicted a romance! A woman she barely knew, Laura Brown, has died and named Camilla as her next of kin and sole heir. Well, that´s the kind of news I get in my spam folder most weeks. But I have to admit that you have tempted me sorely. This does sound tempting to me too. Your description – ‘not so over-the-top quirky that you want to scream’ – got my attention. I get so tired of ‘quirky’ and unbelievable characters. Thank you so much, Bernadette! What a lovely review. I am very happy to be part of your challenge. The Devil’s in the Details has sold through its run, but my publisher assures me it will be reprinted soon. In the meantime, would like news of my new books (twelve so far and one ‘one the way’, click on my name and come on over to my website. I have a free enewsletter with contests etc.